In this video image taken from NTV Japan via APTN, smoke rises from Unit 1 of Fukushima Daiichi nuclear power plant in Okumamachi, Fukushima prefecture on Saturday, March 12, 2011. 2011 was the best of years for some and the worst of years for others. 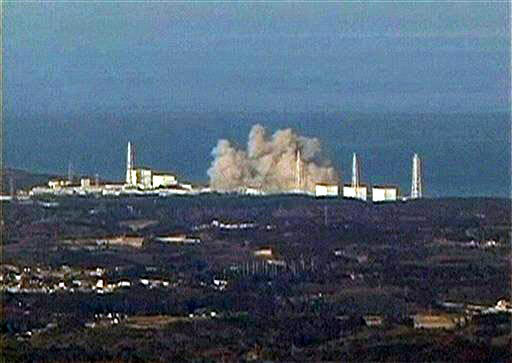 Nuclear Power: The Pacific Tsunami not only created havoc in Japan, but also for the nuclear ambitions of the world. Following the Fukushima meltdown, nuclear emergency was declared in Japan for the first time and 140,000 residents were evacuated. People protested against nuclear energy in Tokyo and in one survey, 80% respondents said they were ''anti-nuclear''. Europe has suddenly become very jittery over this form of energy and the protests have begun in India too.